Top to bottom, left to right: the Upper Pond in Carshalton Village; the Sun public house in the conservation area; High Street, with All Saints Church in the distance; the Leoni Bridge and the Grove. Carshalton is part of the Carshalton and Wallington parliamentary constituency formed in 1983. Tom Brake (Liberal Democrat) has been its MP since 1997. The combined population of the five wards comprising Carshalton was 45,525 at the 2001 census. A majority of the population of Carshalton is in the ABC1 social group. In the 2011 Census the wards had been merged into 3 with a total population of 29,917. To the south of the area now known as Carshalton, remains of artefacts dating from the Neolithic to the Iron Age have been found, suggesting that this was an early place of habitation. Prior to the Norman Conquest it is recorded that there were five manors in this location owned by five freemen. Carshalton appears in Domesday Book as Aultone. It was held by Goisfrid (Geoffrey) de Mandeville. Its domesday assets were: 3½ hides; 1 church, 10 ploughs, 1 mill worth £1 15s 0d, 22 acres (89,000 m2) of meadow, woodland worth 2 hogs. It rendered £15 10s 0d. In the Domesday era there was a church and a water mill in Carshalton, which was then still made up of a number of hamlets dotted around the area, as opposed to a single compact village. In the Middle Ages the land in the village was generally farmed in the form of a number of open fields, divided into strips. The number of strips which each land owner possessed was based roughly on his wealth. There was also an area of open downland in the south of the parish for grazing sheep. Carshalton was known for its springs; these may have given the place its name Cars - Aul - ton. Aul means well or spring. 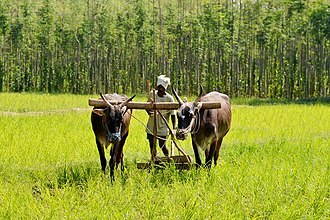 A ton is a farm which was in some way enclosed. The meaning of the Cars element is uncertain but early spellings (Kersaulton and Cresaulton) may indicate connection with a cross or perhaps cress, watercress having been grown locally. 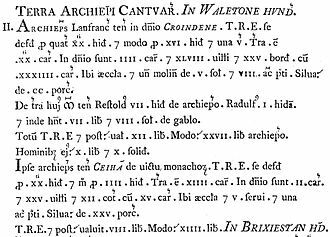 In his book History of the Worthies of England, the 17th century historian Thomas Fuller refers to Carshalton for its walnuts and trout. Land was primarily put to arable use and the river Wandle gave rise to manufacturing using water power. A water mill to grind corn was mentioned in the Domesday Book. By the end of the 18th century it was recorded that there were several mills for the production of paper and parchment, leather, snuff, log-wood and seed oil. There were also bleaching grounds for calico. There were timber framed houses from the end of the Middle Ages, and brick and wooden weather boarded houses from the 17th, 18th and 19th centuries. By the middle of the 19th century Carshalton's population was 2,411, making it, at the time, the largest village in what was to become the London Borough of Sutton. It had a very varied character with houses for the wealthy at one extreme and tenements in back yards at the other. In 1847 a railway line was laid from Croydon to Epsom through Carshalton, but the first station was built in fields south of Wallington. A station in the village itself was not established until 1868 when the Sutton to Mitcham Line was constructed. The development of Carshalton got into its stride in the early 1890s when the Carshalton Park Estate was sold for housing development. During the Victorian era and into the early 20th century, Carshalton was known for its lavender fields (also see below under "Landmarks"), but the increasing land demand for residential building put an end to commercial growing. The Commonwealth War Graves Commission lists 78 civilian casualties in Carshalton during World War II. From 1894 to 1965 Carshalton formed part of the Carshalton Urban District. Central Carshalton, around the ponds and High Street, retains a village character, although the busy A232 runs through the area. There are a number of buildings and open spaces protected by the Carshalton Village Conservation Area. 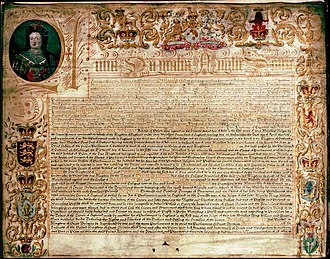 given the status by the London Borough of Sutton. In 1993 its boundary was extended to include parts of Mill Lane and parts of The Square and Talbot Road, containing the All Saints Church Rectory. The Conservation Area contains many of the Listed and Locally Listed Buildings which contribute to the historical significance of the area, and is widely considered to contain some of the finest historical architecture and road layout within the Borough. An example is Stone Court, an early 19th-century building with a gate house, situated on the northern edge of Grove Park. The Sun public house, is a fine example of Victorian decorative brickwork, and makes a positive contribution to the Conservation Area. The Conservation Area also comprises open parkland of historical importance, including the grounds of Carshalton House Estate (which contains St. Philomena's Catholic School, St Mary's Junior School, St Mary's Infants School and the Water Tower) and The Grove Park (which contains The Grove). Other conservation areas in Carshalton are the Wrythe Green Conservation Area and the Park Hill Conservation Area. Sutton is centred 1.2 miles (1.9 km) west of the town centre of Carshalton, its east-west central street can be considered a continuation of Carshalton's own main street, an almost straight A-road route to Orpington via Croydon, beginning in Ewell. Carshalton-on-the-Hill is the residential area on the high chalk upland ground to the south of Carshalton Park from Boundary Road in the east, Chrichton Road/Queen Mary's Avenue/Diamond Jubilee Way in the west and the smallholdings of Little Woodcote to the south. In the heart of Carshalton-on-the-Hill is Stanley Park (which is often used as a term to describe the area). Carshalton Beeches is the area to the west of Carshalton-on-the-Hill, from Crichton Road/Queen Mary's Avenue/Diamond Jubilee Way in the east, Banstead Road/Banstead Road South in the west and Fairlawn Road to the south. It grew up around the railway station which was named after Beeches Avenue, a street near to its location; which, in turn, is named after the beech trees which line it. The Wrythe lies between Carshalton village to the south and St Helier to the north-west. Its name is thought to derive from the rye that was once grown in this area, or from the Anglo-Saxon word rithe which means a small stream. During the time of the Roman occupation of the British Isles, a small spring was situated near the green, now adjacent to a BP garage. Roman activity in the area is confirmed by the fact that there was once a Roman Villa built in Beddington, just a couple of miles away, and a number of roads in the vicinity of Roman origin. The spring has since disappeared under ground and the culvert it feeds flows into the Wandle near Hackbridge. The Grade II listed Anglican parish church of All Saints is located at the west end of Carshalton High Street, opposite Carshalton Ponds. A church has stood on this site since at least Norman times and probably much longer. The current church contains 12th century work; the tower is the oldest part of the building and is thought to date back to before the Norman Conquest. The church has been much extended over the centuries: the north side, which most visitors see first, is a Victorian facade constructed mostly of dark flint; but the south side is earlier, and shows signs of the many alterations that have been made. The most significant change to the building was in 1891 when a new nave and north aisle were added. The dramatic west end gallery, which accommodates the large three manual Willis Organ, was designed by the Anglo-catholic architect Ninian Comper. Just outside the churchyard wall is a spring locally known as "Anne Boleyn's Well". It is popularly said to have received this name because it appeared when Anne Boleyn's horse kicked a stone and a spring of water appeared. But the more likely explanation is that the name is a corruption of "Boulogne". The Counts of Boulogne owned land here in the 12th century and there may have been a chapel dedicated to Our Lady of Boulogne near the well. Located on the corner of Strawberry Lane and Mill Lane, Strawberry Lodge is owned by Carshalton Baptist Church. Besides being a place of worship it is also used during the week as a conference and training centre. During the 1990s the site was renovated by the Baptist Church supported by the London Borough of Sutton. The Grade II* listed Water Tower (or Bagnio as it was known at the time) was built in the early 18th century, primarily to house a water driven pump supplying water to Carshalton House (now St Philomena's School) and the fountains in its gardens. It was planned as a multi-purpose building, and also contains an orangery, a saloon and a bathroom which retains original Delft tiles. The Water Tower is also surrounded by a garden, which features an 18th-century Hermitage, which was restored in the early 1990s, as well as the rustic-style "Folly Bridge". Little Holland House in Carshalton Beeches was the home of the artist and designer Frank Dickinson (1874–1961). Dickinson's Arts and Crafts style interior was influenced by the writings of John Ruskin and William Morris. The house contains many of his art works. Dickinson built his house between 1902-4, and achieved a unique blend of traditional and Art Nouveau, which has featured in several recent TV series on architectural history. Inside the Grade II listed interior are his hand-made furniture, paintings, interior decoration, carvings and metalwork. Dickinson named his house as a homage to George Frederick Watts, the Victorian artist, sculptor and social campaigner, whose ideals he greatly admired. The House is now open to members of the public on the first Sunday of every month, plus the Sunday and Monday of Bank Holiday weekends, between 11am -5pm. Admission is free. The Orangery in The Square was built in the second half of the 18th century in Carshalton Park (the section of which between here and Ruskin Road has since been built over). It is thought to have been built by one George Taylor, who owned plantations in the West Indies. By the late 19th century the Orangery was being used a stable. It is now used as office space, for the Environment Agency. It was renovated in 1987 by film actor Oliver Reed (and his son Mark) at his own expense. The late 19th century bakehouse in Oaks Park is all that remains of "The Oaks" mansion which burned down and was demolished in the 1950s. The original bread oven remains in situ. Blocks of burnt bricks from the ruins of the great house were used by local builders to construct garden walls for houses all along Woodmansterne Road, and may still be seen today. Honeywood is a large Grade II listed house at the western end of the picturesque Carshalton Ponds. At its earliest, it dates from the 17th century but it has been much extended and restored since. In particular, during the period 1896 to 1903 when it was owned by one John Pattinson Kirk, a London merchant, a large Edwardian wing was added to the south side. The 17th century element lies behind the façade in the form of a flint and chalk chequer building. The house now plays host to the London Borough of Sutton's Museum, and has a local history collection, including objects that date back to the Bronze Age. There is a tea room and a shop. The museum has recently been refurbished, reopening in May 2012 with enhanced features. There are now expanded displays, including an interactive map, about the River Wandle and its influence on the life of the area, and a collection of Edwardian toys on display in the "Childhood Room". The interior was restored to its 1903 colour scheme, and the refurbishment also included a restoration of the Edwardian billiards room, its table and fittings, the drawing Room and the bathroom. The Sutton Ecology Centre is located in the Carshalton Village part of Sutton borough. The Grounds are a 1.3 hectare Local Nature Reserve and Site of Borough Importance for Nature Conservation, Grade 1. It is owned by Sutton Council and managed by the Council together with Sutton Nature Conservation Volunteers - SNCV. The history of the Ecology Centre is that the grounds were until the late eighties known as the "Lodgelands", named after the old gardens of The Lodge in Carshalton. They were used as a tree nursery until the early eighties, when they became surplus to requirements. After a prolonged public debate, it was agreed in 1987 to preserve the area as an open space for public use. In common with the London Borough of Sutton as a whole, Carshalton has many green spaces, with three of its main public parks worthy of particular note. The present day Carshalton Park is situated south of the High Street, in the area bounded by Ruskin Road, Ashcombe Road and Woodstock Road. The park and some of the surrounding houses lie within a conservation area. Although much reduced from its original size, it still offers features of historical significance and includes a grotto, the Hog Pit Pond, and a recently rediscovered air raid shelter. Hog Pit is now empty of water, and takes the form of an amphitheatre which is utilised as the main stage for the annual Environmental Fair, which the park plays host to - see #Events. Grove Park, closest to the village centre, is the best example of a Victorian park in the Borough. It is situated in the area approximately bounded by the High Street, North Street and Mill Lane. The park land was in mediaeval times part of the manor of Stone Court, then consisting mainly of meadows. The manor house was situated at the corner of North Street and Mill Lane. The Grove, including the ornamental gardens, was bought by Carshalton Urban District Council in 1924 and the park was opened to the public a few years later. The southwest corner of Grove Park lies next to one of Carshalton's ponds (Lower Pond), from where water flows through the park as the River Wandle. Among its features of interest is the Leoni Bridge, situated where Grove Park meets the Lower Pond. It is made of white Portland stone. Its name derives from the conjecture that the Venetian architect Giacomo Leoni designed it. Leoni had been commissioned to design a new mansion for Carshalton Park during the early 18th century (although the mansion itself was never constructed). Grove Park also features Grove House, a large early nineteenth house, a watermill and a cascade. 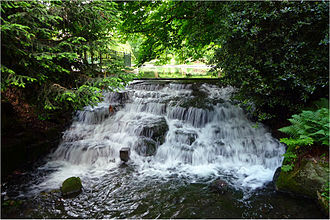 The cascade is near the footbridge leading to the Stone Court corner of the park. The 1.5 metre fall is now ornamental in design, but its original purpose was to create a head of water in order to provide power for the nearby "Upper Mill". Oaks Park is a large park landscaped in a generally naturalistic style, providing downland walks. It is varied and includes formal horticulture, natural chalk meadows, woodlands and informal parkland. It was substantially laid out for the Earl of Derby nearly 250 years ago – in the 1770s – but its villa dates back further than that. The villa (for one Thomas Gosling) was built around 1750, in the era's fashionable landscape style, with trees forming a perimeter screen and placed in artful clumps to suggest a natural landscape. The house was partly rebuilt by Robert Taylor (architect) for John Burgoyne in 1775 and by Robert Adam for the 12th Earl of Derby in 1790. The villa's bakehouse, stable block and some outbuildings remain to this day. The Oaks Park estate lent its name to the Oaks horse-race which was inaugurated by the Earl in 1779, and is run annually during the Derby meeting at Epsom Downs Racecourse, about 4 miles to the west. The original Oaks Race ran from Barrow Hedges, north of The Oaks and through Oaks Park before heading west to approximately the site of the current Epsom Downs Racecourse. Part of the off-road route still exists. The modern day open space also hosts a public golf course and sports centre. The park itself contains a craft-centre and a café. There are also the Oaks Park Studios set in the 1770 stable block, where working artists display their paintings and other artwork. The Charles Cryer Theatre is situated on Carshalton High Street, within walking distance of Carshalton and Carshalton Beeches railway stations (Carshalton station is the nearer of the two). 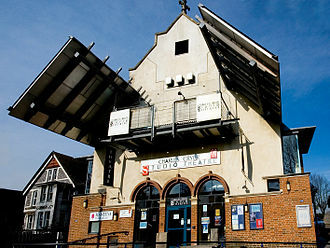 The theatre opened in the early 1990s on the site of a former public hall as part of the then "Arts in Carshalton" campaign coordinated by the local council. The theatre is named after the man who led the campaign to open the Secombe Theatre in neighbouring Sutton. As well as drama and musicals, productions include comedy and dance: past material has included Shakespeare and Chekov on the one hand and pantomime on the other, in order to balance popularity with quality. The theatre also serves as a concert venue for local bands and has played host to the local Rockshot festival. The theatre building also incorporates a Thai restaurant. The theatre closed in 2016 and was subsequently put out to lease. At meeting in October 2018, the local council announced that the theatre would be brought back into use, following a successful bid to run the venue (on a 25-year lease) by Cryer Arts Ltd. The company plans a range of events, including music, film and theatre. The Environmental Fair is held in Carshalton Park on August Bank Holiday Monday. It features over 100 stalls and showcases local sustainability initiatives. It also includes music, performing art, poetry, children's activities, campaign groups, local craft, interactive demonstrations, and a farmers' market. Music is performed from three stages and includes rock and folk. The main stage is a natural open-air amphitheatre. There is food and a bar with real ales. The fair attracts on average around 10,000 people. It is organised by EcoLocal with a team of volunteers. Other annual events include the Carshalton Fireworks a charity fireworks display at Carshalton Park on the Saturday nearest to Guy Fawkes Night, a summer carnival on the second Saturday of June, a beer festival over the first Bank Holiday weekend in May, and Carshalton Charter fair held in September. The Ecology Centre and Honeywood Museum also hold regular events and meetings. The Methodist hall in Ruskin Road is home to the Ruskin Players and the Carshalton Choral Society, both of which perform at regular intervals throughout the year. The annual Carshalton Lavender harvest weekend is held in July, at Stanley Park Allotments, Carshalton-on-the-Hill. A number of businesses and organisations are based in Carshalton, such as the Institute of Refrigeration. Retailing also forms a significant part of the local economy. There are number of separate shopping areas, with the small network of streets in Carshalton Village the main one. The Village contains a variety of mainly independent establishments, including art and gift stores, niche shops, coffee houses, pubs and restaurants. In 2014 a public house in West Street in Carshalton Village reached the Top Four of all pubs in the UK, according to CAMRA. In Carshalton Beeches, half-a-mile to the south-east of the Village, there is a further shopping area, situated along a 300-yard stretch of the otherwise residential Beeches Avenue. Retail outlets in Beeches Avenue include an art gallery, a chocolatier, gift shops and hair and beauty salons. Carshalton has two railway stations: Carshalton and Carshalton Beeches. From 1847 to the opening of the current Carshalton in 1868 Wallington railway station was named Carshalton. Trains run from the current Carshalton to Victoria (in around 25 minutes), London Bridge and Thameslink stations including Blackfriars, Farringdon and Kings Cross St Pancras. The closest London Underground station is Morden, which is a 12-21 minute journey from Carshalton High Street by 157 bus. Bus services 127, 407, 627, and X26 also serve the High Street. Bus service 154 serves Carshalton Beeches Station with links to Morden and West Croydon. Carshalton is on a section of the National Cycle Network (Route 20). A leisure trail along the River Wandle from Wandsworth is available from the Sustrans website. There are a number of primary schools and secondary schools as well as one college in Carshalton. These are listed below. For details of education in the whole borough, see List of schools in Sutton. Carshalton has two football clubs: Carshalton Athletic F.C. (home ground at The War Memorial Sports Ground, Colston Avenue) and Carshalton FC (at Beddington Park). At the Westcroft Leisure Centre in Grove Park, Carshalton, there are health and fitness facilities including two swimming pools one being a teaching pool. In 2012 Westcroft underwent a major renovation costing £11 million, bringing improved swimming facilities, dance and spinning studios and beauty treatment rooms. There are eight courts in the sports hall, providing facilities for activities including badminton, gymnastics, trampolining, basketball, football, netball and volleyball. In April 2013 the centre was shortlisted for the LABC London Regional Building Excellence Awards. 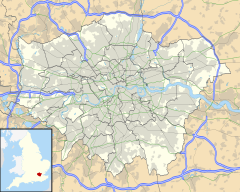 ^ Despite becoming part of London with the creation of the London Borough of Sutton in 1965, Surrey remains the official postal county for the town. ^ "London Biodiversity Partnership - audit of rivers document" (PDF). Archived from the original (PDF) on 28 June 2007. ^ "History of Carshalton, in Sutton and Surrey | Historical administrative units and statistics". Visionofbritain.org.uk. Retrieved 26 June 2014. ^ "2001 Census Data for Carshalton Beeches, Central, South & Clockhouse, North, plus The Wrythe". ^ The Victoria History of the County of Surrey: Vol 4, edited by H.E.Malden, published 1912. ^ a b "The Environs of London: Vol 1 - County of Surrey" by Daniel Lysons, published 1792. ^ a b c "London Borough of Sutton - Carshalton: A brief history". Sutton.gov.uk. Retrieved 26 June 2014. ^ a b The Book of Carshalton: At the Source of the Wandle, based on talks by Michael Wilks, published 2002. ^ "Folk-Lore of Women: Chapter XIV: Local Allusions to Women". Sacred-texts.com. Retrieved 26 June 2014. 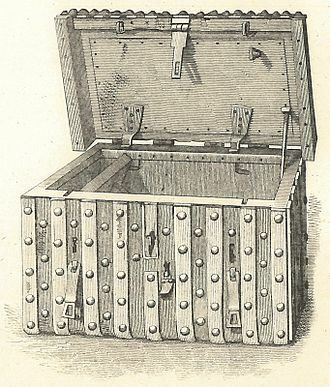 ^ Volume 16, Page 293 of the 1911 Encyclopædia Britannica. ^ "A Vision of Britain through Time, University of Portsmouth Department of Geography - unit history of Carshalton, 1801-2001". Archived from the original on 1 October 2007. ^ "London Borough of Sutton - Carshalton Village Conservation Area". Retrieved 19 December 2016. ^ "UK Grid Reference Finder". gridreferencefinder.com. ^ "Google Maps showing Carshalton Beeches". Retrieved 4 December 2014. ^ Historic England. "Details from listed building database (1065683)". National Heritage List for England. Retrieved 1 October 2015. ^ Carshalton. "Carshalton All Saints". Carshalton All Saints. Retrieved 29 July 2012. ^ "Carshalton All Saints - History of Church". ^ Andrew Duncan's Favourite London Walks - Andrew Duncan - Google Books. Books.google.co.uk. Retrieved 26 June 2014. ^ "Carshalton Water Tower". Carshalton Water Tower & Historic Garden Trust. Retrieved 4 June 2012. ^ "London Borough of Sutton Heritage, Little Holland House". Archived from the original on 24 July 2013. Retrieved 6 July 2013. ^ "London Borough of Sutton - The Orangery". Sutton.gov.uk. Retrieved 26 June 2014. ^ "Discovering stuff when walking - CPFC BBS". Cpfc.org. Retrieved 26 June 2014. ^ "London Borough of Sutton - Oaks Park". Sutton.gov.uk. Retrieved 26 June 2014. ^ "Honeywood Museum". Friendsofhoneywood.co.uk. Retrieved 26 June 2014. ^ "London Borough of Sutton - Sutton Ecology Centre". Sutton.gov.uk. Archived from the original on 3 February 2015. Retrieved 26 June 2014. ^ "Sutton Ecology Centre Grounds". Local Nature Reserves. Natural England. 7 March 2013. Archived from the original on 29 March 2014. Retrieved 29 March 2014. ^ "The Grove and Grove Park, London Borough of Sutton". Archived from the original on 15 May 2007. Retrieved 19 May 2014. ^ "Carshalton: a brief history, London Borough of Sutton". Archived from the original on 19 April 2007. Retrieved 3 February 2014. ^ "Carshalton", The Environs of London volume 1: County of Surrey (1792), pp. 122–36. Daniel Lysons. ^ "Oaks Fine Art". oaksfineart.co.uk. ^ Clare, John Harmon de. "Properties for sale and to let". www.sutton.gov.uk. Retrieved 2018-06-13. ^ "Friends of Honeywood Museum". ^ "The Hope in Carshalton is officially one of the best four pubs in the country (From Sutton Guardian)". Suttonguardian.co.uk. 12 February 2014. Retrieved 26 June 2014. ^ "Leafy Carshalton Beeches". 51.413255;-0.183171: Timeandleisure.co.uk. 1 January 2010. Retrieved 26 June 2014. ^ "Route 20 - Map". ^ "Wandle Trail Map" (PDF). ^ "All Saints Carshalton CE Primary School - Home Page". www.allsaintscarshalton.sutton.sch.uk. ^ "Welcome to Harris Junior Academy Carshalton". www.harrisjuniorcarshalton.org.uk. ^ "Home - Muschamp Primary School and Language Opportunity Base". www.muschamp.org.uk. ^ "Rushy Meadow Primary Academy -". www.rushymeadow.sutton.sch.uk. ^ "St Mary's Catholic Junior School". www.stmarysjunior.org.uk. ^ "Stanley Park Infants'". Archived from the original on 6 March 2016. Retrieved 17 February 2019. ^ "Home - Stanley Park Junior School". www.spjs.org. ^ Super User. "St Philomenas - Home". stphils.org.uk. ^ "Carshalton High School for Girls". chsg.org.uk. ^ "Carshalton Boys Sports College - Home". carshaltonboys.org. ^ "Home - Stanley Park". stanleyparkhigh.co.uk. ^ "Carshalton College - London Borough of Sutton". Wikimedia Commons has media related to Carshalton. Protected areas or conservation areas are locations which receive protection because of their recognized natural, ecological or cultural values. There are several kinds of protected areas, which vary by level of protection depending on the laws of each country or the regulations of the international organisations involved. There are over 161,000 protected areas in the world with more added daily, by contrast, only 1. 17% of the worlds oceans is included in the worlds ~6,800 Marine Protected Areas. Protected areas are essential for biodiversity conservation, often providing habitat, Protection helps maintain ecological processes that cannot survive in most intensely managed landscapes and seascapes. Generally, protected areas are understood to be those in human occupation or at least the exploitation of resources is limited. As a result, Protected Areas can encompass a range of governance types. Indeed, governance of protected areas has emerged a critical factor in their success, the range of natural resources that any one protected area may guard is vast. Of all global terrestrial carbon stock,15. 2% is contained within protected areas, Protected areas in South America hold 27% of the worlds carbon stock, which is the highest percentage of any country in both absolute terms and as a proportion of the total stock. Rainforests,18. 8% of the worlds forest is covered by protected areas, of the 670 ecoregions with forest cover, 54% have 10% or more of their forest cover protected under IUCN Categories I – VI. Mountain protected area coverage has increased globally by 21% since 1990, the categories provide international standards for defining protected areas and encourage conservation planning according to their management aims. Protecting places and resources is by no means a modern concept, over 2000 years ago, royal decrees in India protected certain areas. 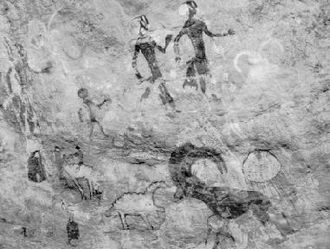 In Europe and powerful people protected hunting grounds for a thousand years, the idea of protection of special places is universal, for example, it occurs among the communities in the Pacific and in parts of Africa. The parallel phase of Irish archaeology is termed the Irish Iron Age. The Iron Age is not a horizon of common artefacts. 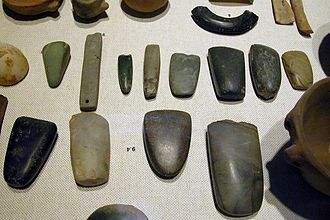 The British Iron Age lasted in theory from the first significant use of iron for tools, the Romanised culture is termed Roman Britain and is considered to supplant the British Iron Age. 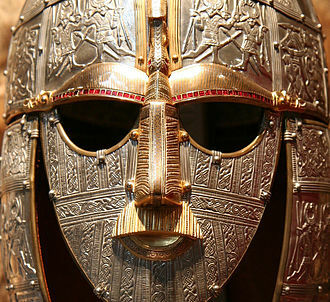 The Irish Iron Age was ended by the rise of Christianity, at a minimum, Celtic is a linguistic term without an implication of a lasting cultural unity connecting Gaul with the British Isles throughout the Iron Age. However it cannot be assumed that particular cultural features found in one Celtic-speaking culture can be extrapolated to the others. At present over 100 large-scale excavations of Iron Age sites have taken place, dating from the 8th century BC to the 1st century AD, hundreds of radiocarbon dates have been acquired and have been calibrated on four different curves, the most precise being based on tree ring sequences. In parts of Britain that were not Romanised, such as Scotland, the geographer closest to AD100 is perhaps Ptolemy. Pliny and Strabo are a bit older, but Ptolemy gives the most detail, during the Bronze Age there are indications of new ideas influencing land use and settlement. Extensive field systems, now called Celtic fields, were being set out and settlements were becoming more permanent, long ditches, some many miles in length, were dug with enclosures placed at their ends. These are thought to indicate territorial borders and a desire to control over wide areas. 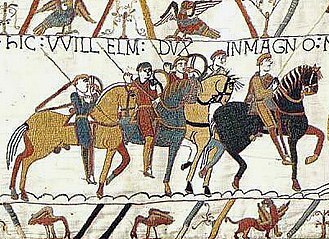 By the 8th century BC, there is increasing evidence of Great Britain becoming closely tied to continental Europe, especially in Britains South and East. New weapon types appeared with clear parallels to those on the continent such as the Carps tongue sword, phoenician traders probably began visiting Great Britain in search of minerals around this time, bringing with them goods from the Mediterranean. 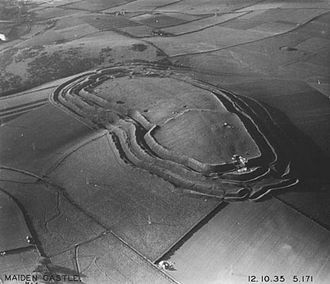 At the same time, Northern European artefact types reached Eastern Great Britain in large quantities from across the North Sea, defensive structures dating from this time are often impressive, for example the brochs of Northern Scotland and the hill forts that dotted the rest of the islands. London has a history going back over 2,000 years. In the main time, it has grown to one of the most significant financial and cultural capitals on Earth and it has experienced plague, devastating fire, civil war, aerial bombardment, terrorist attacks, and widespread rioting. The City of London is its core and today is its primary financial district. Trinovantes were the Iron Age tribe who inhabited the area prior to the Romans. Geoffrey provides prehistoric London with an array of legendary kings, such as Lud who, he claims, renamed the town Caer Ludein, from which London was derived. However, despite intensive excavations, archaeologists have found no evidence of a major settlement in the area. There have been scattered prehistoric finds, evidence of farming and traces of habitation and it is now considered unlikely that a pre-Roman city existed, but as some of the Roman city remains unexcavated, it is still just possible that some major settlement may yet be discovered. London was most likely an area with scattered settlement. Some recent discoveries indicate probable very early settlements near the Thames in the London area, in 1999, the remains of a Bronze Age bridge were found, again on the foreshore south of Vauxhall Bridge. This bridge either crossed the Thames, or went to a now lost island in the river, dendrology dated the timbers to 1500BC. In 2001 a further dig found that the timbers were driven vertically into the ground on the bank of the Thames west of Vauxhall Bridge. In 2010 the foundations of a timber structure, dated to 4000BC, were found on the Thames foreshore. The function of the structure is not known. All these structures are on the bank at a natural crossing point where the River Effra flows into the Thames. Numerous finds have made of spear heads and weaponry from the Bronze and Iron Ages near the banks of the Thames in the London area. This suggests that the Thames was an important tribal boundary, Londinium was established as a civilian town by the Romans about seven years after the invasion of AD43. The River Wandle is a river in south-east England. The names of the river and of Wandsworth are thought to have derived from the Old English Wendlesworth meaning Wendles Settlement, the river runs through southwest London and is about 9 miles long. It passes through the London Boroughs of Croydon, Merton, much of the River is accessible using the Wandle Trail. Rain falls on the North Downs, filters through the chalk, at the top of the catchment the river is mostly culverted. A second main source, at about 115 feet AOD is formed at Carshalton Ponds, other sources include the Norbury Brook/River Graveney tributary which rises near the Lower Addiscombe Road in Croydon and flows through the London Boroughs of Croydon and Merton. Two seasonal streams, the Coulsdon Bourne and the Caterham Bourne and they join together at Purley, run in a culvert north along the Brighton Road and join the River Wandle at the site of the, now defunct and Sugarloaf pub in South Croydon. In the late pleistocene, the river probably sprang from the north of the Vale of Holmesdale across the North Downs through the Merstham Gap, a wind gap. In more recent times, rainwater falling on the Down percolates through the chalk and reappears as springs in central Croydon and Carshalton. The occasional stream, known as the Bourne, which runs through the Caterham valley is a source of the River Wandle, a series of ditches and culverts channels the water from Purley to Croydon. For many centuries the River Wandle rose from a spring near the Swan and it ran northwards along Southbridge Road and upon reaching Old Town it was 20 ft across and began to divide into smaller channels. The grounds of the Old Palace and Scarbrook Hill had several springs, ponds and canals where fish swam, the river flowed through Pitlake and on through two marshy fields — Froggs Mead and Stubbs Mead — drained to form Wandle Park in 1890. Local springs were used to form a lake in the park, but frequent drying up problems led to the lake being filled in. In 2012, the Wandle was restored to the surface in Wandle Park, a tributary starts in Thornton Heath as the Norbury Brook. 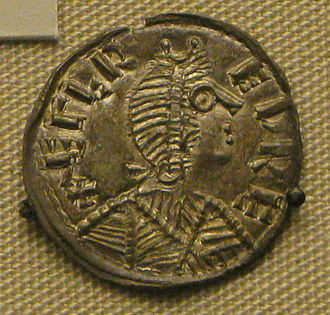 Carausius coin from Londinium mint. Grove Park, Carshalton. View north from the Portland stone bridge, showing the river Wandle passing through an artificial channel. The Grove house can just be seen to the right.